12 months & up. 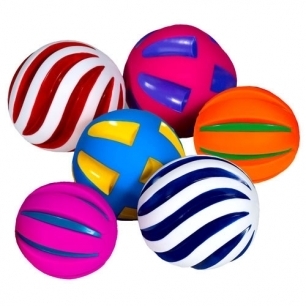 Children will enjoy this set of 6 colorful balls. Set comes with 3 different exteriors and all squeak when squeezed.